We had the pleasure of working along Transit Studios and Pineapple Hospitality to help bring this wine bar in London’s vibrant Shoreditch to life. 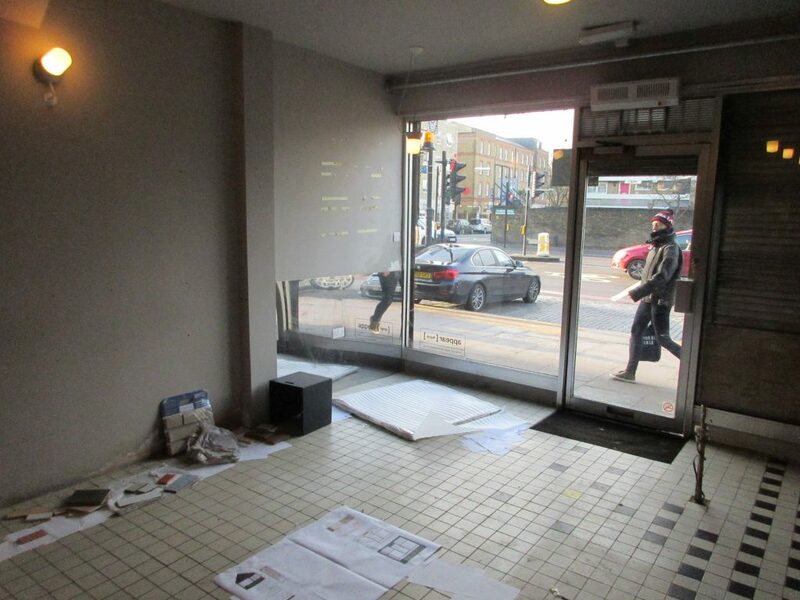 The unit started as a partially stripped out space on a high street in Dalston. We began with the completing the strip out works, strengthening the floor and preparing the services for the new scheme. The walls were clad in a mixture of reclaimed timber and bespoke H&E Smith tiles formed from reconstituted brick (harking back to the rich history of the area), with a neat inverted brass angle dividing the two finishes and forming a visual reference throughout. Bespoke timber seats & custom joinery, acoustic dropped ceilings and one-off Foresso (Timber terrazzo) tops complete the front of house space. New air conditioning, LED lit ceilings and wall lights and a feature brass trough lamp on the central shared dining area make this a comfortable space to enjoy a glass of wine. During this project, we overcame several hurdles which included noise restrictions, splitting the incoming services between the wine bar & residents above, a weak floor construction and third-party manufacturing issues compressing the already tight programme. We loved working with the client and design team on this unique wine bar, bringing the project to life and handing over in just 5 weeks and on budget.